50 Klick tags - large hinged - 72mm x 38mm. 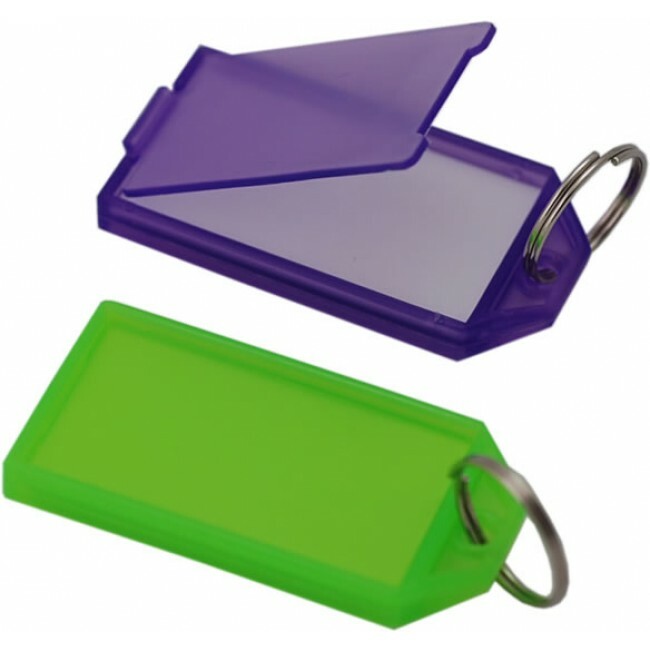 Heavy duty key tags with hinged flap. Simply lift flap and remove the white card to write your details. 5 Assorted colours per box.